Get the African safari experience without blowing your savings or traveling halfway across the globe. Oh, and roughing it? Not necessary. At the Cincinnati Zoo’s adults-only Twiga Overnight, you’ll be transported to the Sahara, but with most of the comforts of home. The activities kick off as you sip libations and enjoy hors d’oeuvres during a meet-and-greet with animals of the rainforest: Fan favorite Moe the sloth, who’s nocturnal, is particularly active. Get to know your group with a scavenger hunt in the greenhouse, then depart for an after-hours private journey through the zoo’s Africa exhibits, where you’ll get a glimpse of giraffes, cheetahs, African painted dogs, and have an up close and personal encounter with flamingos. 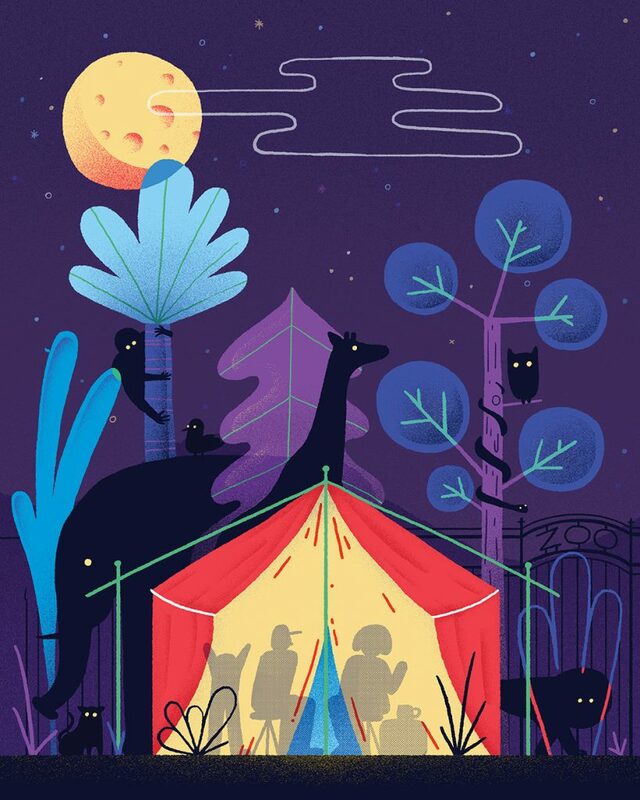 Concluding the evening, the whole gang will gather ’round the campfire for s’mores and stories from the zookeepers. Sleeping among the animals is surprisingly tranquil, and waking up to the sunrise and lion roars is simply something you won’t forget, let alone find on any other staycation. The real kicker? During the behind-the-scenes tour, you might even get a sneaky look at Cincinnati’s pride and joy Fiona outside Hippo Cove, lounging around her adjacent living quarters, where the little lady was born and raised. Momma Bibi makes her presence known, too, greeting guests with boisterous, wall-shaking roars. Just keep your squeals of excitement to a minimum—they’re trying to sleep! The Whole Bowl, fully loaded Bambino Bowl $5.50, tortilla chips $1, and Kombucha $4; thewholebowl.com. Can’t get enough of the wild animals? You’re welcome to spend the entire following day at the zoo.